Frostbite Spider is a rare Endurance creature card. It is part of the Core Set. 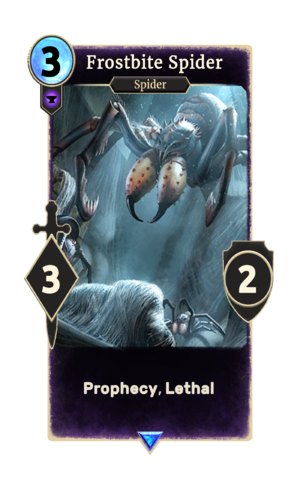 This card appears to have been renamed from "Spider Offspring" at some point during the open beta. Frostbite Spiders first appeared in Skyrim.